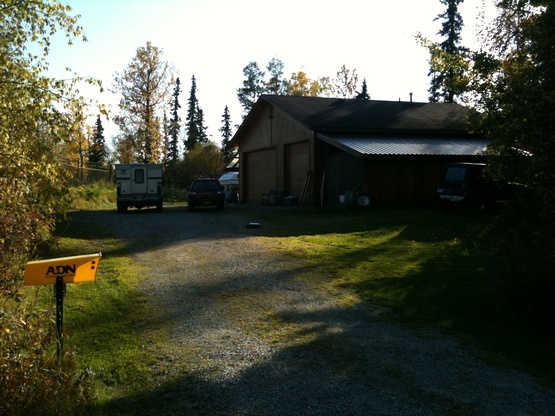 Driveway area with access to power in Wasilla, Alaska 50 miles north of Anchorage, Alaska. Please coordinate arrival and departure. Limited space so need to figure out vehicle parking so no one inconvenienced, but this is easily done. Paved surface roads and gravel. Entrance off street to parking area passes through gate approximately 15 feet wide and may cause problem for larger RVs. Basic availability is from June thru August. During these months I may be traveling in Alaska fishing and general outdoor activities. We can coordinate times through email or phone. The host was out of town but his brother stepped in and Accommodated us exceptionally well. We were able to get a level spot. The short drive down the road is in very good shape. Thank you very much for accommodating us even with though you were out of town. Sorry we didn’t get to meet you. So far we have met some really cool people. Dotnorthman is near the top. Very welcoming but allows for your privacy. It was really awesome to sit and have a drink and have some good dialogue with him. Above and beyond. Stayed one night on our way to the Kenai Peninsula. Rustic location, easy access, good conversation.